Each Box contains Two Autographs (including One BGS Graded), Two Memorabilia Cards, and One Base Card! 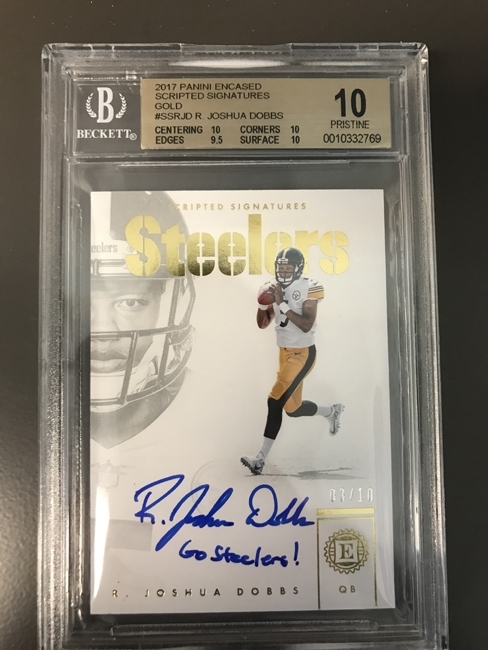 Encased Football returns with two autographs and two memorabilia cards per box, including one graded on-card autograph from Rookie Endorsements, Rookie Dual Swatch Signatures, Scripted Signatures, Rookie Notable Signatures or Rookie Cap Patch Autographs! Rookie Cap Patch Autographs are back with dazzling swatches from the official on-stage 2017 NFL Draft caps, featuring an even bigger jumbo swatch and on-card auto! 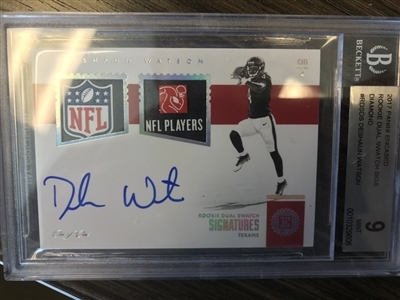 with an inscription from the 2017 rookies! Look for new jersey and autograph inserts in 2017 Encased Football with Century Collection, Firsthand Materials and Timeless Material Signatures! Find jumbo patches from 2017 Pro Bowl players like Ezekiel Elliott, Dak Prescott, Travis Kelce, Tyreek Hill, Alex Smith, Odell Beckham Jr., Von Miller, Drew Brees, Justin Tucker and more! featuring the stars of the 2017 NFL Draft Class! 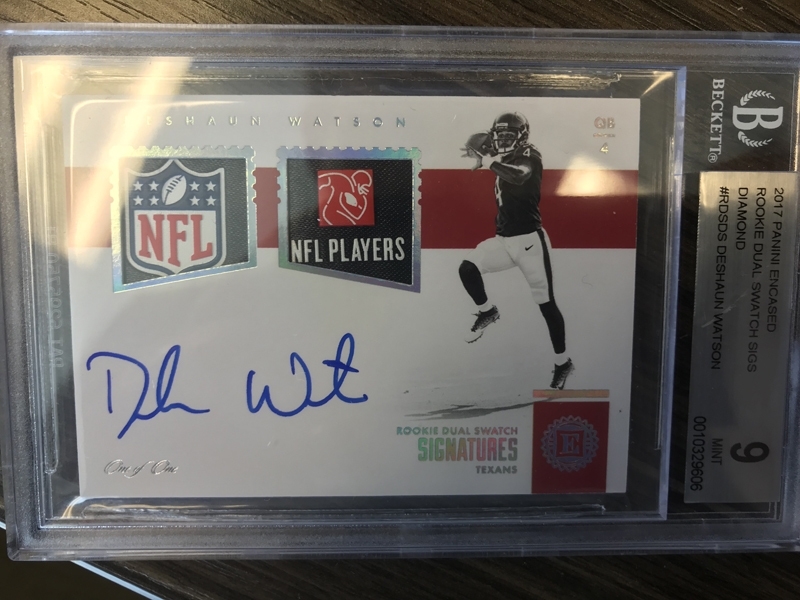 from the top 2017 NFL rookies! also find Pro Bowl Jumbo Jerseys, featuring players from the 2017 Pro Bowl!